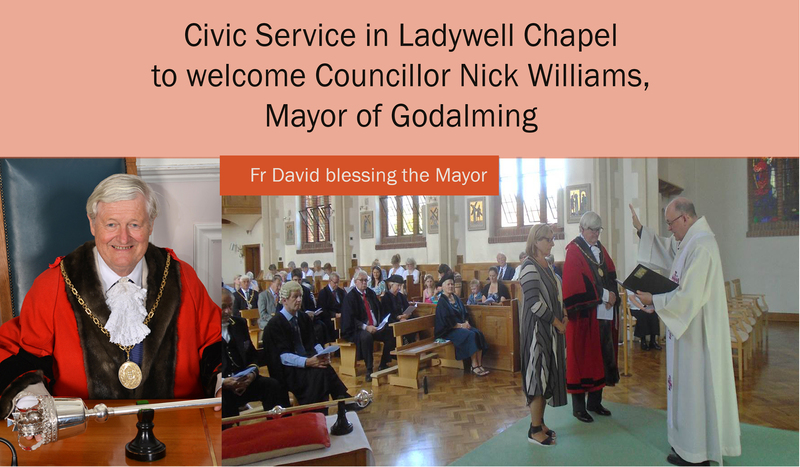 On Sunday 24 June 2018, the FMDM sisters were delighted to welcome so many people to the Civic Service held in Ladywell Chapel to welcome Councillor Nick Williams, as Godalming Town Mayor in the presence of Godalming Town Council, his family, friends and FMDM Sisters. Fr David Parmiter, the parish priest of St Edmund’s Church Godalming led the Service. 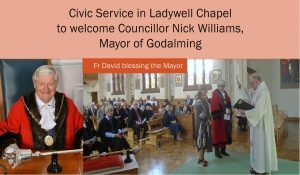 We pray for Councillor Nick Williams that he may be guided by his Christian faith and be blessed with gifts of wisdom and insight in his leadership role. May he know the support of his family and colleagues.